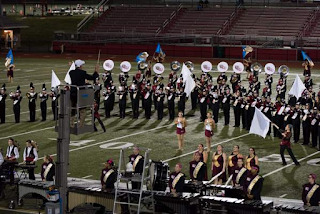 The Kutztown University Graduate Organization of Bands was formed in 1972 with two important goals in mind. 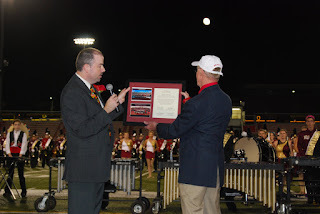 The first was to support the KU Band Program. 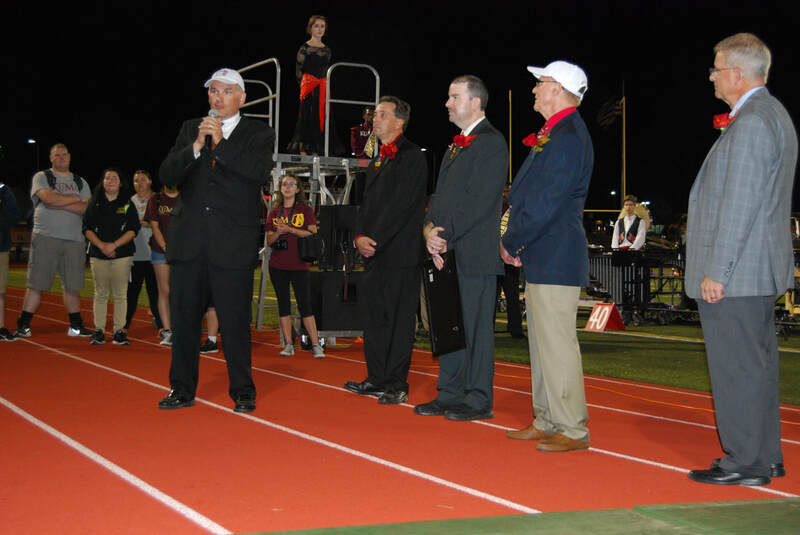 The second was to maintain the strong friendships that were developed while at Kutztown in the band. Many years later, these goals are still the cornerstone of our organization. On October 7, 2017, Richard G. Wells was honored at the Owen J. Roberts Cavalcade Show of Bands for his years of service as a Music Educator. 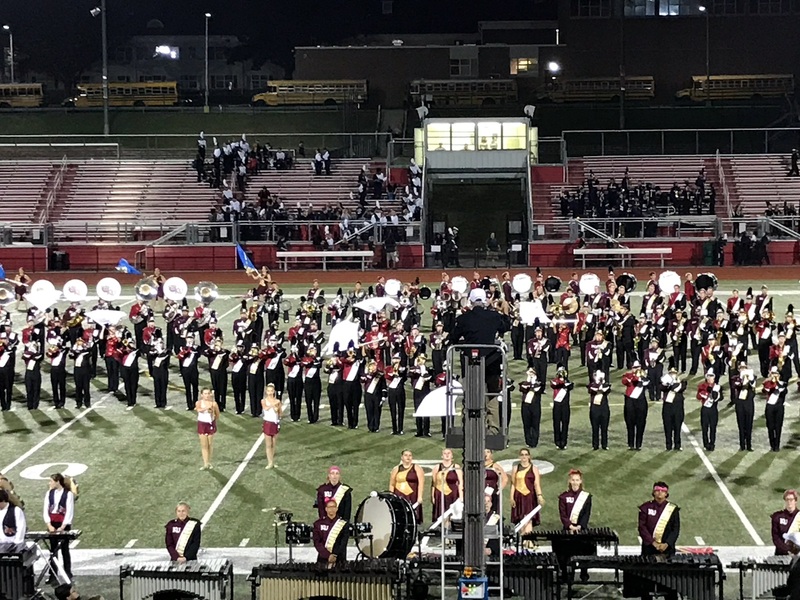 After nine marching bands performed that evening, Mr. Wells conducted the combined sounds of the Kutztown University Marching Unit and the Owen J. Roberts High School Marching Band. A super grand finale followed with all nine bands performing Shut Up & Dance. 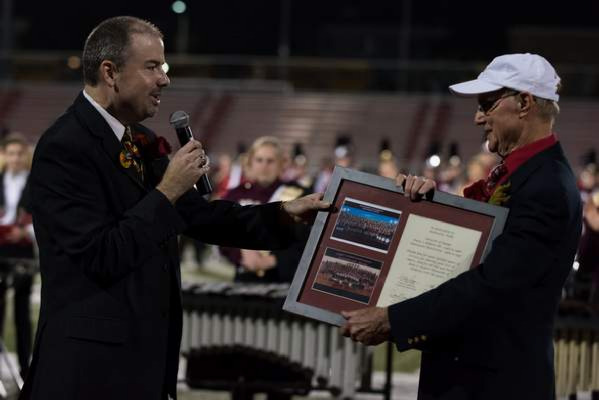 During the evening, Mr. Wells was presented with a plaque bearing photos of both the Kutztown University Marching Unit and the Owen J. Roberts Marching Band. 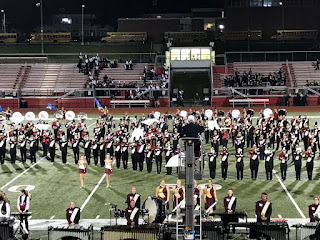 The dedication reads: "In dedication to Richard G. Wells, Director of Band, Owen J. Roberts High School 1961-1968 and Kutztown University 1968-1997. 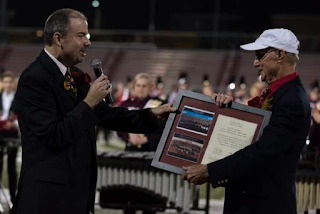 Thank you for your faithful years of service, for sharing your love of music and all that you have done to inspire thousands of students over the years. ~ Will Rapp, Jeff Oxenford, Dan Neuenschwander, Todd Mengel. 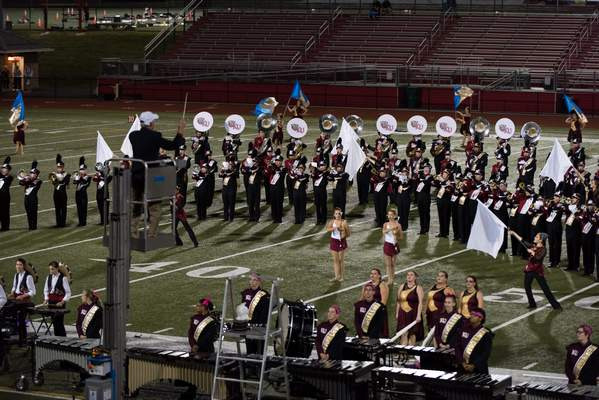 Copyright © 2016 Graduate Organization of Bands. Picture Window theme. Theme images by ideabug. Powered by Blogger.